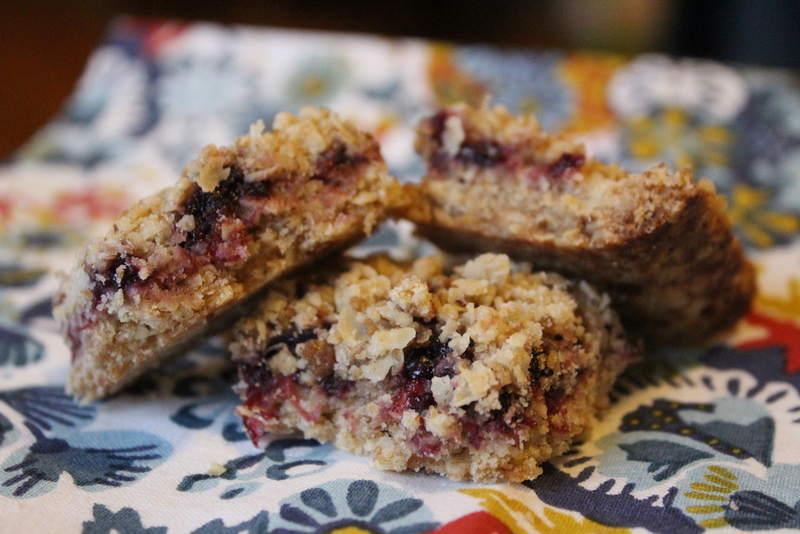 oatmeal jam bars — Mel bakes things. It's really fun to yell "JAM BAR!" whenever you feel there is an opportune moment to eat one of these. I couldn't tell you why, I'm just reporting the facts. As you can see, I had some assistance photographing these. You know those days where an hour or so after dinner you realize you really want dessert, but there's nothing in your kitchen that will satisfy the dessert craving monster? Well, that's why these happened. I didn't really feel like making something elaborate, which made these the perfect solution. They are SO EASY. Seriously. I think it took me a grand total of 10 minutes to put these together and get them in the oven. And I promise that you probably have everything you need for this recipe in your kitchen/pantry somewhere. Also, they are remarkably delicious for such a simple recipe. They're good for breakfast, snack time, lunch, dessert, with tea or coffee, or pretty much whenever you feel like it. But isn't that true of all baked goods? Preheat oven 375 degrees. Spray an 8-inch square baking dish with cooking spray. Using an electric hand mixer (a stand mixer would work too, but it's not necessary), beat everything together except the jam. Bake 25 minutes. Remove from oven and allow to cool in dish for at least 20 minutes. You can be a little creative here. For instance, the next time I make these I'm going to use apricot jam, add cinnamon to the cookie base, and sprinkle some chopped almonds in with the topping. You could also easily turn these into PB&J bars, too.